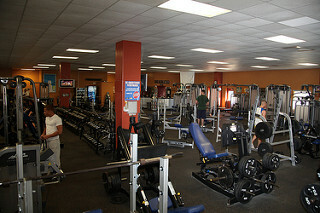 A clean gym helps to ensure happy customers. And New Year’s generally brings in many new customers. Is your Prescott gym ready for the New Year's Resolution-makers? There are a few simple cleaning fixes that MTO Janitorial believes will be helpful. Dirty equipment. Gyms should keep full paper towel dispensers and sanitizing wipes around for customers to clean equipment after their workout on each piece. This is a start, but it’s also essential for the gym staff to regularly clean and sanitize equipment throughout the day. Locker rooms and restrooms. Every business must deal with continuous restroom cleaning. Locker rooms have showers, which is another issue that gym staff must attend to. Always make sure that drains are clean, sanitized and free of hair. Unpleasant odors. Odors should not be just masked with air freshener. Find the source of the odor and clean it. This includes the toilets and gym equipment. Also, make sure that floors and walls are cleanSpills and stains. It’s essential to regularly vacuum your fitness facility. Use stain removal products whenever you find visible stains and soils on your equipment. Dusty surfaces. Dust is a problem in itself and will quickly accumulate in any space. Dust from the top down, starting with ceiling fans and making your way down to lockers, counters, surfaces and other tall equipment. MTO Janitorial can help you get your gym ready for the New Year and your new customers. To schedule professional cleaning and sanitizing for your Prescott gym or other business, contact the cleaning experts at MTO Janitorial at 928-772-0004.